Both in terms of the way it looks and how it drives, the Quattroporte is a thoroughly distinctive executive saloon. Trouble is, we think some of its weaknesses are in areas prospective buyers will consider must-haves, while the things it offers – in some cases, uniquely in this class – are not things people in this part of the market want. In terms of its styling, the Quattroporte is a million miles away from the executive saloons and luxury cars it rivals. While rivals tend to be more conservative and traditional, this is a much bolder beast, with its huge grille (revised in 2017 to bring it more in line with the Levante SUV) sitting on its low nose and dominating the front end. There are plenty of familiar Maserati features dotted around, too, such as the air intakes behind the front wheels, and the trident badge on the rear pillar, all of which means the car is thoroughly distinctive. Every model is very smart, with big alloys and lots of chrome detailing, but there are plenty of ways to personalise your car. That includes obvious things like the alloy wheel design and paint colour, but be warned, you’ll need to pay extra for anything other than plain black or white. For the ultimate in personal expression, you can even change the colour of the brake calipers. 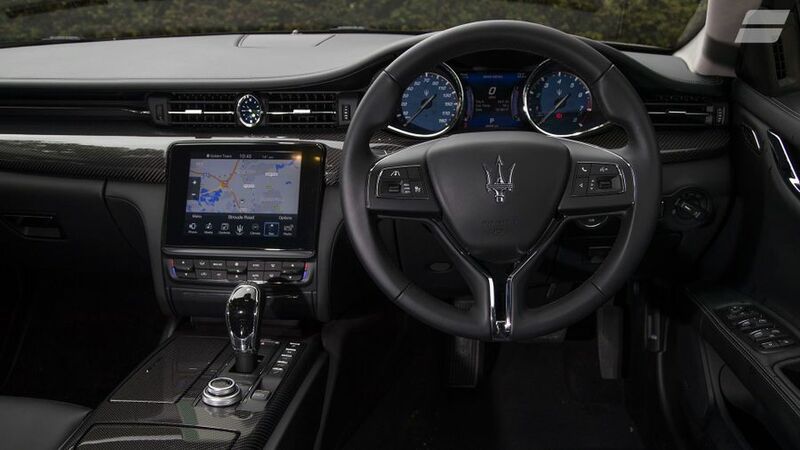 For the most part, the cabin of the Quattroporte looks and feels every inch the luxury car it’s trying to be. There’s plenty of (electrically operated) adjustment on the leather-upholstered driver’s seat and steering wheel, and the individually ringed dials and customisable digital display in between give a nice touch of class that’s complemented by the touch-screen infotainment system on the centre console. There are also umpteen combinations of high-class materials, trims and finishes for the cabin. We like the pull-out drawer at the bottom of the centre console that will hide your phone and cable while it’s plugged in to the USB socket. Sadly, however, there are also a few too many places that betray a lack of attention to detail. The wheel-mounted controls for the digital display are fiddly to operate; the pedals are offset to the right and make the driving position a little uncomfortable; some of the controls – such as those for the headlights and wipers – feel cheap; and the visibility to the rear is restricted by the head restraints blocking the view out of the small rear window. Oh, and putting the boot-release button in the roof seems perverse. Given the nature of an executive car like this, the amount of room in the back is every bit as important as the space up front. The good news is that not only is there no need for even tall passengers to duck down to get in, once they’re in the back seats, they’ll be in luxurious surroundings, with head- and leg-room to spare. However, you’ll need to add the optional four-zone climate control or upgrade to GranLusso trim for the rear passengers to have their own temperature controls. Admittedly, the sculpting on the seat and the big transmission tunnel in the floor mean you’ll only ever get two people in the back, but that’s no great problem, as this is hardly a family car. The boot is a very generous size, but the trouble is, it’s not a very practical shape, with quite a few lumps and bumps intruding into the space. The narrow opening also makes it awkward to reach into the very depths of the boot, and although you can fold down the rear seats, the small opening into the cabin means you can’t carry large loads. Chances are, if you’re considering a Maserati, you’ll be expecting something a little sportier than your average luxury car and will be prepared to put up with a certain amount of firmness in the suspension. 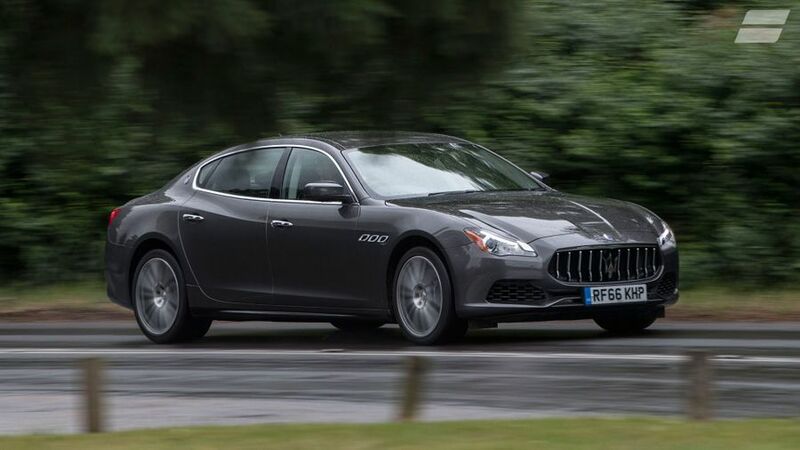 Even with that in mind, the Quattroporte is too firm too much of the time, even with the suspension in its most comfortable setting: too many sharp bumps can be felt in the cabin, and kick back through the steering wheel. To make matters worse, the big tyres are more prone to following undulations in the road than you would expect; and, there’s too much wind- and road-noise. Last, but not least, the steering has an inconsistent weight to it: when the car’s moving at higher speeds, the steering becomes much heavier after feeling quite light when you start to turn the wheel. Whether you’re in the front or the back, this isn’t as relaxing a car as you would want. The one consolation is that it’s an amazingly agile thing for such a big, heavy car, with plenty of grip and changing direction far more keenly than you would expect. If you are prepared to make the compromises, this can be an enjoyable car to drive, and it’s considerably sportier than most luxury cars you might think of. 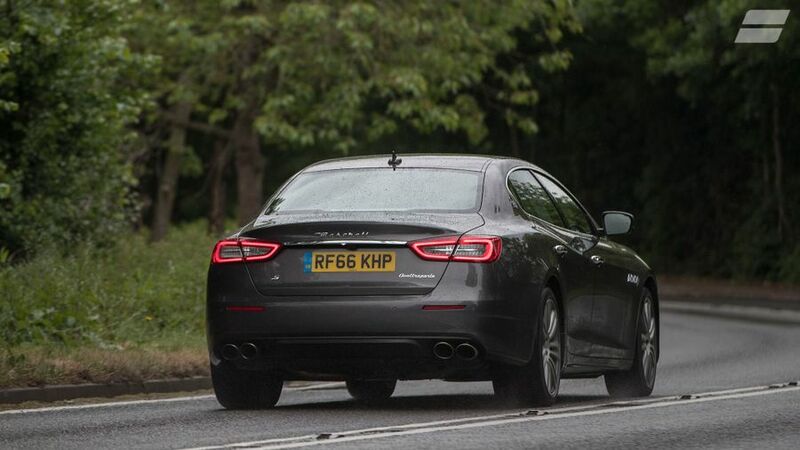 We’ve only driven one version of the Quattroporte: the mid-range, V6 petrol-engined S. However, given this car weighs the best part of two tonnes, even without anyone inside it, it’s remarkable just how quick it can go. The headline figure is that it hits 62mph in just over five seconds, making it as quick as genuine sportscars, such as the Porsche 718 Cayman. However, what impresses you as much as the outright pace it’s capable of is the way in which it goes about gathering that pace. With peak pulling power available from below 2000rpm and the engine attached to a smooth and slick eight-speed automatic gearbox, it always responds quickly and keenly to the driver’s demands. That’s before you even think about putting the gearbox into one of its more sporty modes. There’s no two ways about it: a Quattroporte will be an expensive car to run. Although the S returns more than 29mpg in the official tests, our experience suggests you’ll barely get within 10mpg of that if you use its performance to the full, and not much better than 25mpg in everyday use. The diesel model is the most economical, and its average economy of 45.6mpg looks reasonably good next to equivalent rivals from Porsche, but it’s short of what you’ll get in a diesel Mercedes S-Class, and well short of what rival hybrids are capable of, let alone the all-electric Tesla Model S. It’s harder to be sure how good the residual values will be, but the Quattroporte’s relative rarity should work in its favour, keeping resale values strong. It’s very hard to predict with any accuracy how reliable any Maserati will be, because the company’s cars are so rare that there’s very little information out there. 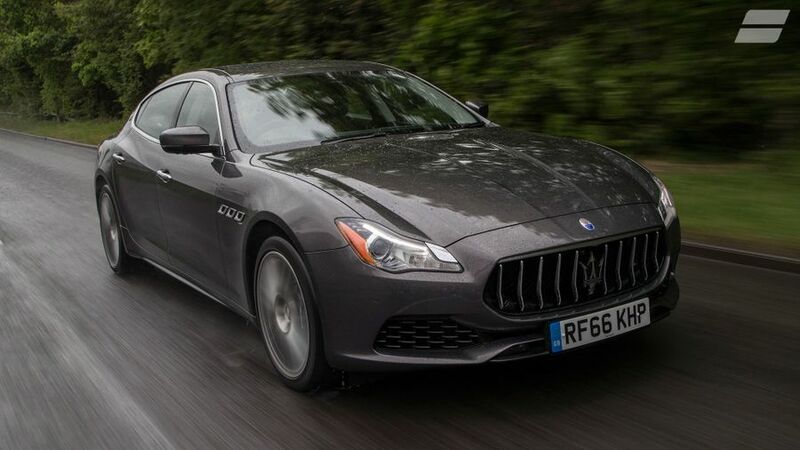 All we can say is that the few online reports from owners of the previous-generation Quattroporte and of the company’s smaller saloon, the Ghibli, are very positive. The Quattroporte has not been tested by Euro NCAP, but it does come with a reasonable amount of safety equipment as standard. There are six airbags – although that number doesn’t include the knee bags you get on some rivals – as well as the Maserati Stability Program, which includes anti-lock brakes, Brake Assist, and a Hill Holder system. However, you’ll need to start ticking boxes on the options list if you also want desirable things like adaptive cruise control and Blind Spot Detection. The same goes for automatic emergency braking, which is included with the Advanced Brake Assist package. For the most part, the standard trim is suitably luxurious. 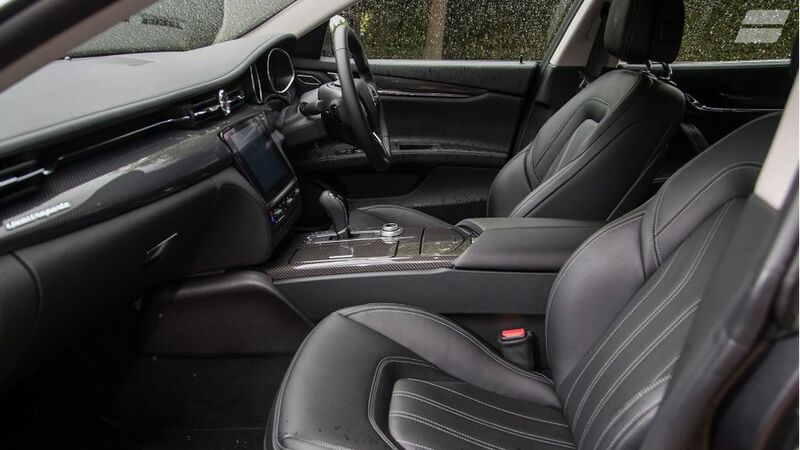 It includes keyless entry, leather upholstery, heated front seats, electric seat adjustment and sat-nav, as well as a 10-speaker stereo and front lights that adapt their beam to the conditions. 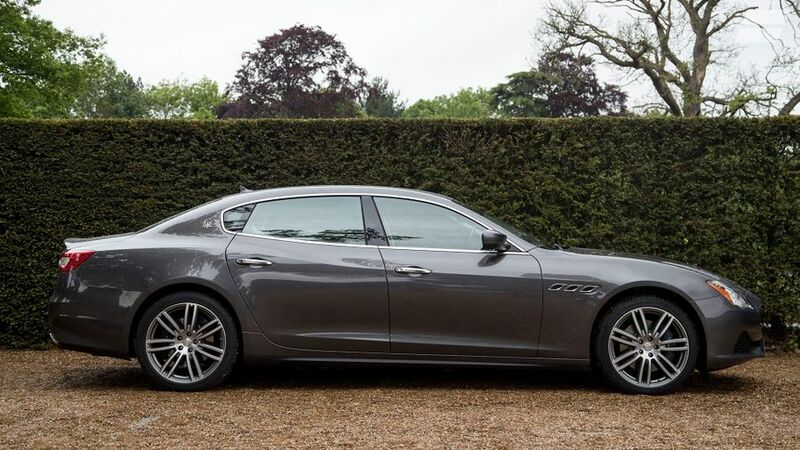 But, beyond that, the Quattroporte is also available with two upgrades: GranLusso and GranSport. As the names imply, GranLusso aims to make the car more luxurious, while GranSport ups the sporty look and feel, with both packages bringing their own bespoke interior and exterior trims. 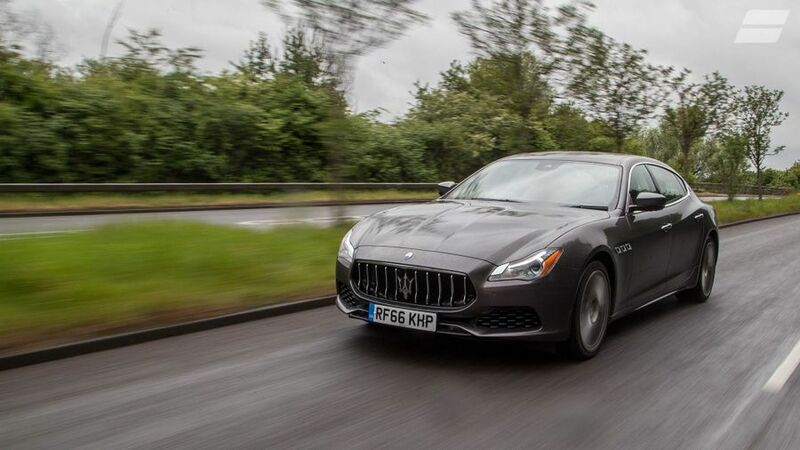 The real appeal of the Quattroporte is that it is so different to the more traditional and conservative saloons dominating this area of the market. Yes, you’ll have to make a few compromises, but the looks, the way it drives and performs all mark it out as something very distinctive and exclusive.